The Motorola Moto G6 is a hotshot smartphone with a sleek and modern look for budget friendly pockets. It is a new model with a higher resolution display, dual rear cameras and a powerful 1.8 Ghz octa core Qualcomm Snapdragon 450 processor. 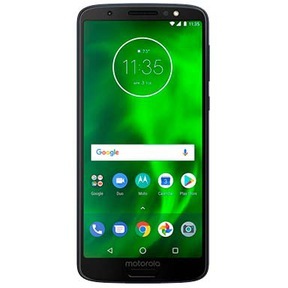 The Motorola Moto G6 is an improved version of the Moto G5 Plus that was launched in 2017. It featured a screen ratio of 18:9 with a glass back, curved edges and Gorilla Glass 3 for that extra toughness. Though it scores high on many parameters, it fails in terms of short battery life, occasional lags and an average camera. There are already a few irritated with its laggy performance, and are pondering a move on to a new smartphone. They’re in luck - they can have their way quick and easy with Cashify. The Moto G6 being new to the market can fetch you better prices if sold to the right hands. 1. Enter the brand name and model name of your old phone on the Cashify website. Next you need to fill in the details regarding the condition of your old phone, year of purchase, damages, if any, etc. 2. Based on your inputs and current price of the model in the market, Cashify generates a transparent and fair price for your old phone using its automatically generated pricing algorithm. 3. Once satisfied with the price, schedule a free pickup at the place of your choice and time that suits you. 4.Also, you are free to choose your mode of payment. Our representative will reach you at the decided time and you will be paid instantly in exchange for your old smartphone. Cashify takes care to ensure full authenticity of its purchases and full satisfaction to the sellers. With Cashify, you can safely sell your old phones and gadgets online and get ready to splurge on a new one. Cashify is the most trusted platform in India to sell mobile phones online and other gadgets online for instant cash on pickup. Get started now!